My first love was black & white photography. I saw my Dad’s b&w images taken while serving in WWII and Korea. I was mesmerized by them, and intrigued by how the black & white choice made me feel. He built a darkroom for me when I was in high school and fostered my love for photography. I love the quote, “with color we look at the image, with black and white we look into the image” I find this to be true. I love color now but black & white will always be another choice for me. I’m very excited about the upcoming workshop we’re doing with Chuck Kimmerle in Death Valley late February. 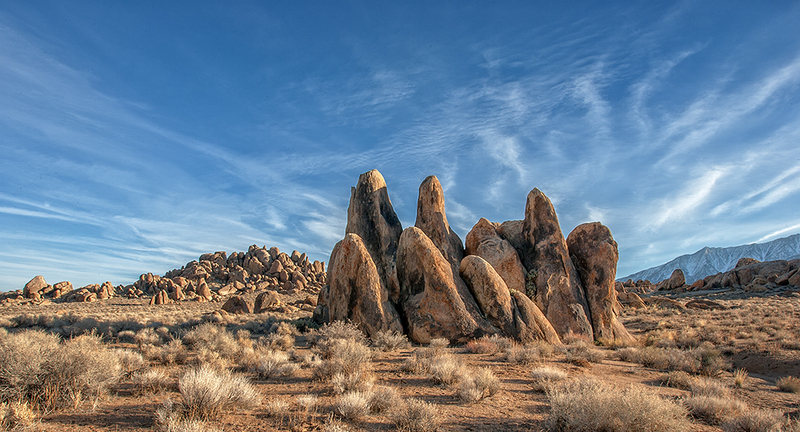 I’ve enjoyed your webinars for Topaz BW Effects and what you can do with an image using their software. I’m curious to know why you use NIK on some and Topaz on others. I have both and would like to know what drives your choice. Thanks! A very good question. I wish I had a really simple answer, however, it all depends on the image. In general, I will use Nik if there is a lot of localized adjustments that need to be made. I find Nik’s control point technology to be very useful for this task. I will use Topaz when I’m looking for more of a look and quick conversions. JB, nice picture either way. 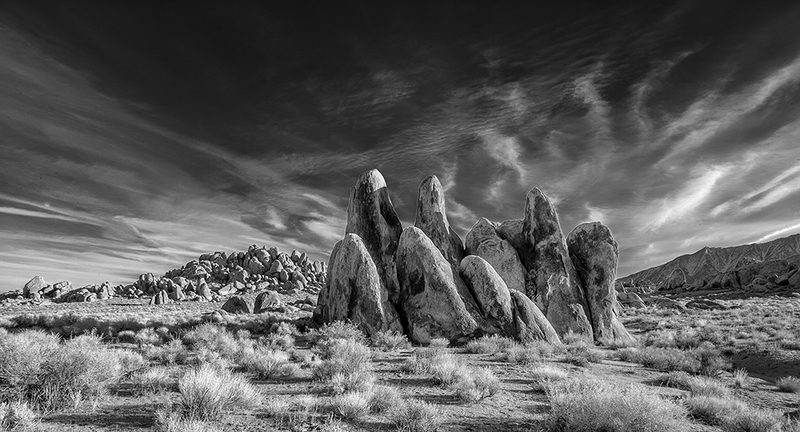 Alabama Hills is a good place to shoot B&W.. I echo Mike”s question, how do you decide? I’m finding myself more attracted to black and white over color unless the color is really critical to the image. I think in the shot above, the black and white brings out some details that aren’t visible in the color version. Very nice!